At the San Diego Comic-Con this past weekend, Capcom and Microsoft Studios unleashed the first “Dead Rising 3” ViDoc, titled “Zombie Apocalypse Evolved: The Making of ‘Dead Rising 3,’” giving fans a behind-the-scenes look at the making of the newest installment! The ViDoc provides an inside look at how Capcom brought the horrifically-fun action of the “Dead Rising” franchise to life on Xbox One. 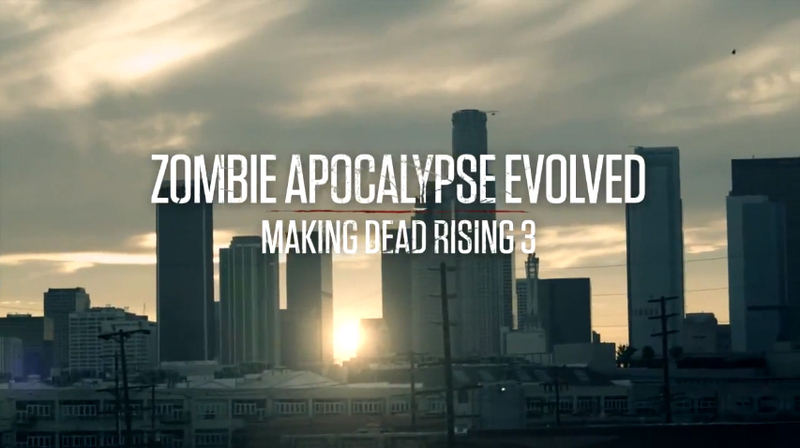 From the creation of the zombie horde to the virtually infinite variety of Combo Weapons and Vehicles, the ViDoc shows how “Dead Rising 3” is evolving the genre in exciting ways and ushering in a new generation of zombie-slaying mayhem. See the video diary below!